Home / Pens for school? You may have noticed my mentions of pens in posts regarding our schooling. Yes, we do use pens. I had heard pens, specifically fountain pens, recommended for children who are learning to write and who become fatigued by pressing too hard. I was told it was how children learned penmanship here in the past as well as in European schools. I asked my mom what she used in an old Chicago Catholic school back in the 50’s. Sure enough, it was fountain pens. “A specific blue color was required,” she said with a rush of memory, and related a story of how she had to run to the corner candy store once for an emergency purchase. The next time I saw a friend who had been raised in France, I asked her the same question. They used fountain pens too. So I made my first order for fountain pens, though it was not without misgivings. 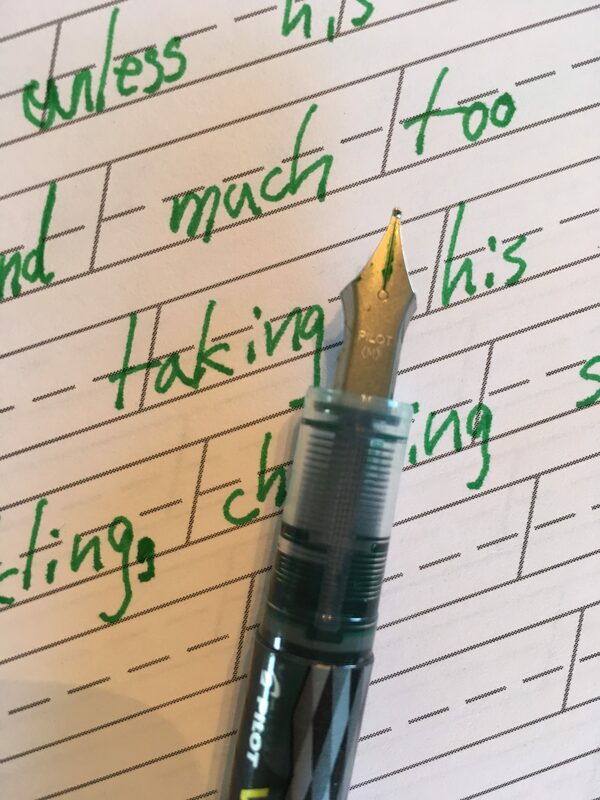 I just could not imagine handing something as messy as a fountain pen to a second-grade boy. But it took just a session or two for him to learn how to use it, and then it worked its magic. His handwriting was carefully done, with just the right pressure. I think the inability to erase makes him more careful than he would normally be. The one subject we do not use fountain pens for is math. That still is done in pencil or a Frixion (eraseable) pen. So consider giving fountain pens a try. We have had good success with Pilot Varsity pens. They are disposable and not very expensive.